Every new year is an opportunity to explore more places, try new things, eat new food, etc. Quezon Province is one of the top-of-mind destinations when it comes to nature or road tripping. And why not? The province boasts of exciting places to visit, but the article can only list ten. Nevertheless, these are the ten best places in Quezon that you should include on your 2019 bucket list. One disclaimer, however. 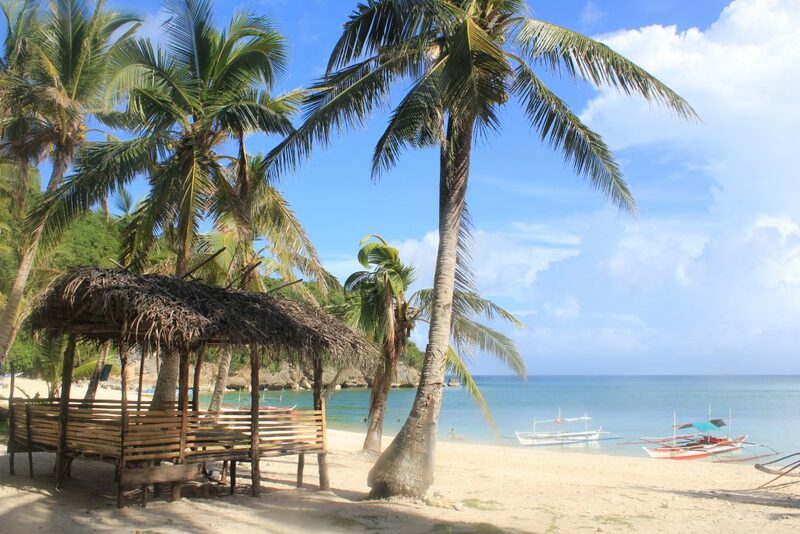 Quezon Province is known for its beautiful islands with crystal clear waters – Quezon is a beach-rich province. However, this list aims to give the spotlight to non-beach attractions that are also must-visit. Located in Lucban, Kamay ni Hesus (Hand of Jesus Shrine) features the gigantic statue of Jesus Christ atop the mountain. At the top, you will see Mt. Banahaw mountain range. You need to tackle hundreds of steps going up; the concrete stairs are on the two sides. In between these stairways is the garden where images of Christ while nailed on the cross are scattered around. Balesin Island is a member-only resort that makes it all the more exciting to visit that is if you are one of the members or know one who is. Because of the lesser crowd, there are fewer people who use the facilities and amenities throughout the island. Balesin Island features luxurious themed villas, borrowing from the relatable concept of Bali, Thailand, Greece, and Italy. Many people thought that Villa Escudero is in Laguna. It’s true. However, the resort expands to parts of Quezon, particularly in Tiaong and Dolores. Villa Escudero houses a museum that you can visit and still rivers where guests are allowed to do bamboo rafting. Nonetheless, the highlight is the waterfall restaurant that serves buffet lunch, an inclusion of all available packages. Quezon Capitol features tidbits about the history of the province. Quezon was formerly called Kaliraya and Tayabas; it became Quezon to honor then Pres. Manuel L. Quezon. He is from Baler, which is now a part of Aurora. Aurora was the President’s wife. It would be best to visit the Capitol in the afternoon before sunset so you can see the entire building being reflected on the man-made pond in front of it. The surrounding turns golden too. Kamayan sa Palaisdaan in Tayabas is both a restaurant and hotel bar. Kamayan’s best-sellers are sinugno, ginataang suso, and steamed alimango that you can eat inside the airplane-like restaurant complete with staff in crew and flight attendant uniforms or outside. The restaurant has bahay kubos (nipa huts) where you may also enjoy your mostly seafood orders. The same concept with the resto resort in Laguna. Located in Candelaria, Angel’s Sunflower Field is Quezon’s newest attraction. If you are into flower fields, you will surely love the maze-like place. Sunflowers are not the only flowers you will see there, though, because it also features marigold and bougainvillea. Also, it has a souvenir shop where you may buy potted plants, seedlings including sunflower seeds, and flower bouquets. The place is also known as Girasoles Farm. Also in Tiaong, Ugu Bigyan Pottery Garden is not a very popular tourist spot but is also a must-visit. It’s easy to find especially if you are already in Lucena City wherein the pottery garden is just an hour of travel away via Quezon Eco Tourism Road. Ugu Bigyan is a world-famous potter opened his garden to the public in 2000. People who have already visited the place are often in awe of the open spaces and wind chimes that create the sweetest melody. It is also known for its food offerings served on unique earthenware. Since the pottery garden also has a shop, buying rustic, muted color works of art is the next best thing. The owner and the resident potters offer pottery making lessons; reservations are required, however. Kwebang Lampas is located in Pagbilao. From its name, its a cave that can only be explored from 7 am to 10 am, during low tide. Aside from caving, you may also do stargazing because the place welcomes overnight campers. You may also do island hopping (Borawan to Dampalitan Islands) if you have the budget. Lucena Fish Port Complex is not your usual tourist destination. However, what you will do here will contribute to a more wonderful experience of exploring Quezon in its entirety. The port is the place to see a bountiful catch and buy fresh seafood. You need to be there as early as 5 am before the fish, crabs, and other seafood are transported to the local market.